The Bizz Johnson Trail is a "Rails to Trails" conversion of the western end of the old Fernley and Lassen Branch Line of the Southern Pacific Railroad, a logging line that operated from 1914 to 1955. Background: This 25-mile trail parallels a river canyon through three bioregions-the Sierra Nevada, Cascade Range, and Great Basin Desert. The trail, linking Susanville and Westwood, follows an old railroad grade through two tunnels and across 12 bridges and skirts the Susan River for 16 miles. It passes from east to west through Great Basin high desert habitat, through south-facing slopes dominated by grasses, shrubs and oak woodlands, past north-facing firs and pines and ends in a dense pine and cedar forest. Riverside riparian vegetation shelters many birds, from belted kingfishers and hooded orioles to calliope hummingbirds and canyon wrens. Ducks are occasionally seen including common mergansers that often raise their young along the river. Brushy dams and grassy mounds along the river are evidence of beavers and muskrats. 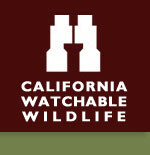 Watch for turkey vultures, American kestrels, great horned owls, red tailed hawks and other birds of prey. Patient observers may see bats, raccoons, porcupines, coyotes, even black bears. Bobcats and mountain lions live in the area but are seldom seen. The Bizz Johnson Trail is a "Rails to Trails" conversion of the western end of the old Fernley and Lassen Branch Line of the Southern Pacific Railroad, a logging line that operated from 1914 to 1955. The Bizz Johnson Trail winds 25.4 miles from Susanville to Mason Station, 4.6 miles north of Westwood. For the first 16 miles, the trail follows the Susan River. As it winds through the rugged Susan River Canyon, the trail crosses the river 12 times on bridges and trestles and passes through two tunnels. The trails main visitor center is located in the old depot in Susanville where a number of interpretive exhibits tell the history of the area. A second visitor center is located in Westwood in a replica of the Westwood railroad depot. The Habitat: The trail winds its way through three bioregions, the Great Basin, the Sierra Nevada and the Cascade Range. Along the way it passes through a semi-arid canyon, past landscapes of high desert, grasslands, and oak woodlands, to a dense forest of pine and cedar. Riparian vegetation line the banks of the Susan River adjacent to the trail for 16 miles. Willows and cottonwoods dominate but there are many other riparian species also. The Experience: The Susan River Canyon is ecologically unique, as it traverses three distinct bioregions. The scenery is thus quite varied, with features of pine and cedar forest, grassland, oak woodlands, high desert, and canyon lands. Wildlife and Where to Find It: By hiking or mountain biking. The trail is on an old railroad grade, so the slope is gentle. Viewing Tips: Nearly 100 bird species. Songbirds best seen in spring and fall, though summer is also good. Look for birds of prey, deer, predators and aquatic mammals year-round, mostly mornings and evenings. Many butterflies. Nine access points to trail, travel on foot, horseback, bicycle or cross country skis. Site Notes: Many birds are attracted to plants along the river. Look for species ranging from belted kingfishers and hooded orioles to calliope hummingbirds and canyon wrens. Watch the skies for turkey vultures, American kestrels, great horned owls, red tailed hawks and other birds of prey. The Susan River attracts beavers, who build their dams with brush, and muskrats. Patient observers may see bats, raccoons, porcupines, coyotes - even black bears. During late October, there are spectacular displays of color all along the Susan River that is easily viewed from the adjacent Bizz Johnson Trail. Eagle Lake, the second largest natural lake entirely within California (28,000 acres), is located 10 miles directly north of the Bizz Johnson Trail (16 miles from Susanville via California Highway 36 and Lassen County Road A-1). A 5 mile paved trail along the lake's south shore provides miles of wildlife viewing opportunities (see separate watchable wildlife write-up for Eagle Lake). Species commonly seen at Eagle Lake are western and eared grebes, white pelicans, and various waterfowl species. Osprey and bald eagles live at the lake in the spring through fall and bald eagles also winter at the lake. Festivals & Events: Not for wildlife specific festivals, however the trail is a destination for bird watching and botany field trips lead by local school groups and Audubon Society Chapters. Marathon in October. Rails-to-Trails Festival. Road Hazards: In winter, Goumaz and Mason Station Trailheads become snowed in. Parking Notes: The starting point for the trail is at the visitor center in Susanville, but visitors may access the trail at a number of other places. How to Get There: In Susanville, follow Main Street (Highway 36) to the stoplight at the bottom of the hill by Historic Uptown Susanville. Turn south on Weatherlow Street - it becomes Richmond Road - and follow one-half mile across Susan River, to parking at Susanville Railroad Depot Trailhead and Visitor Center. The other end of the trail is at Mason Station, 5 miles north of Westwood. In Westwood, a statue of Paul Bunyan and Babe the Blue Ox mark the Westwood end of the trail in front of the Westwood Community Center, however until the trail is extended between its current terminus at Mason Station and Westwood, you will need to drive north on County Road A-21 to the Mason Station Trailhead. Three and a half miles north of California Highway 36. Watch for the Bizz Johnson Trail and Mason Station trailhead sign. Follow County Road 101 for 1/2 mile to Mason Station Trailhead. Park at the trailhead and follow the path past a kiosk for 1/4 mile to abandoned railroad grade. Follow the railroad grade 25 miles to Susanville. The western end of the trail passes through a mixed conifer forest for ten miles before joining the Susan River for the final 16 miles to Susanville. More wildlife diversity is seen in the segment along the Susan River.